This week, I decided it was time to make something very different, and something new that I’ve never tried before. 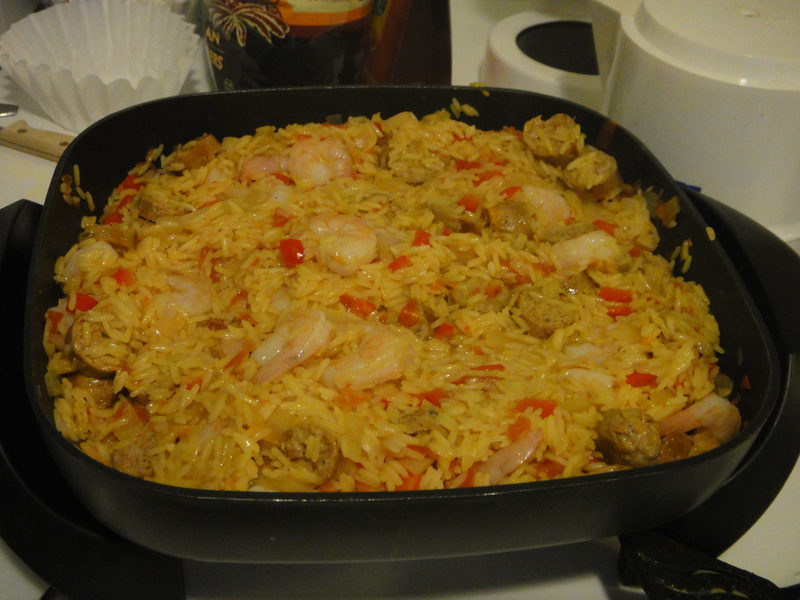 So I went ahead and made authentic Chorizo and Shrimp Paella. It was incredible! 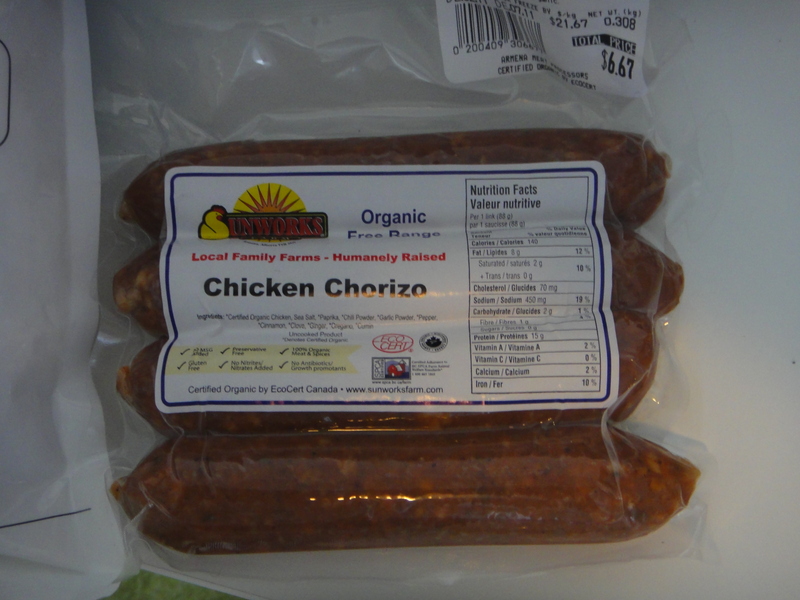 For the Chorizo, I used Organic chicken chorizo sausage from Sunworks organics from the Old Strathcona Farmer’s Market. I love their products. They have so many flavours of sausages, and they are all organic and delicious! Very go0d bang for your buck too! 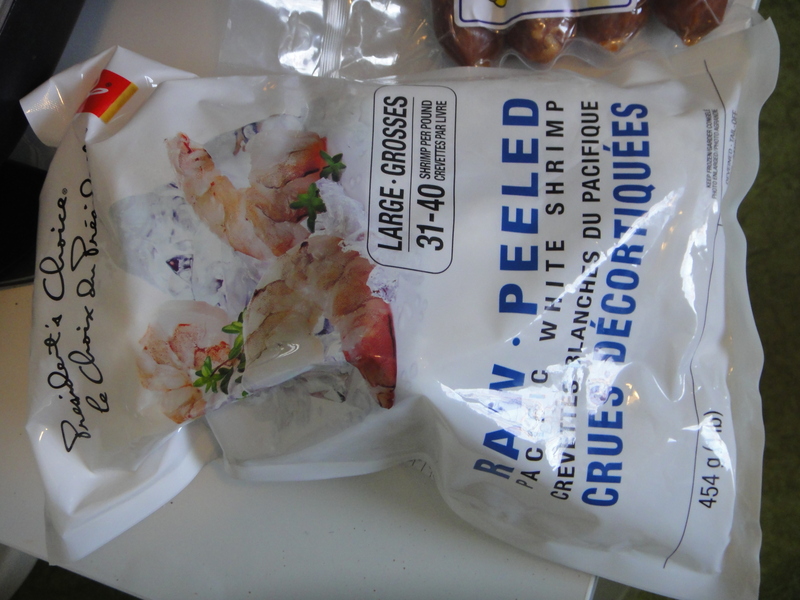 I also used frozen shrimp (not organic), from superstore. 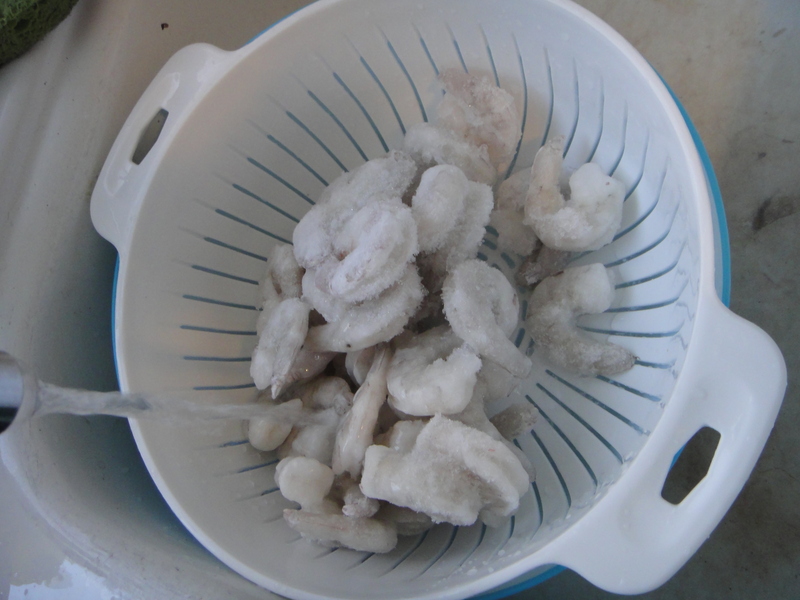 I always like to cook shrimps straight from frozen, so not to worry about there being any iffyness with raw fish thawing in the fridge. I run hot water from the tap over them until thawed. Takes no time at all, and it works every time! 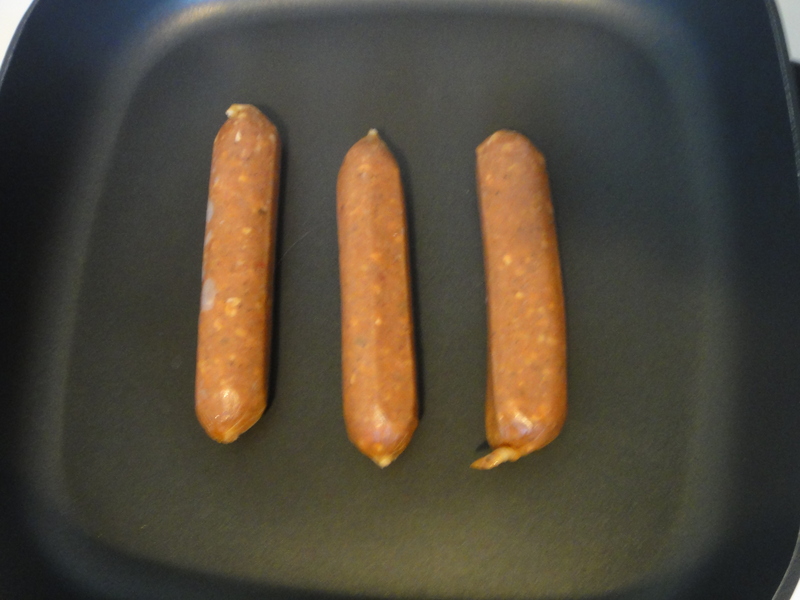 I began by frying up the sausages in my non skit electric skillet. 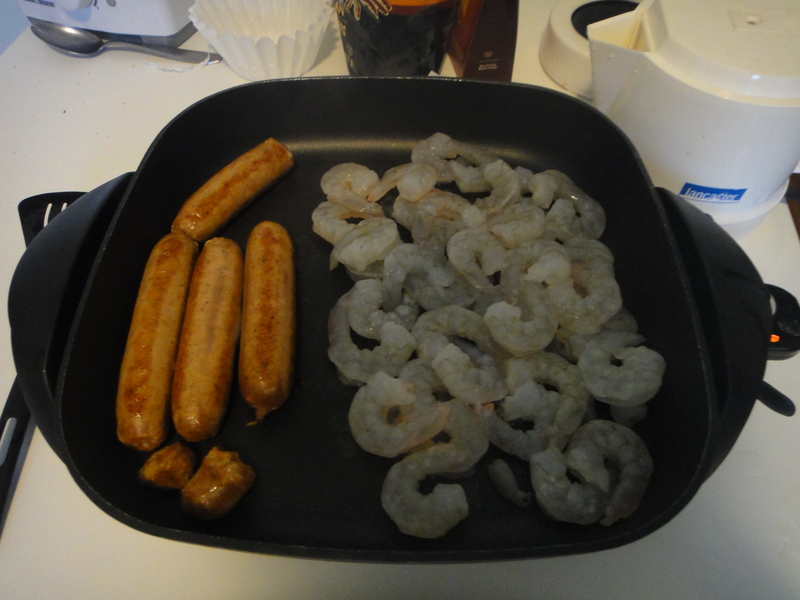 When they are almost done, I added the shrimpies to cook up. Watch them carefully, they cook very very fast! 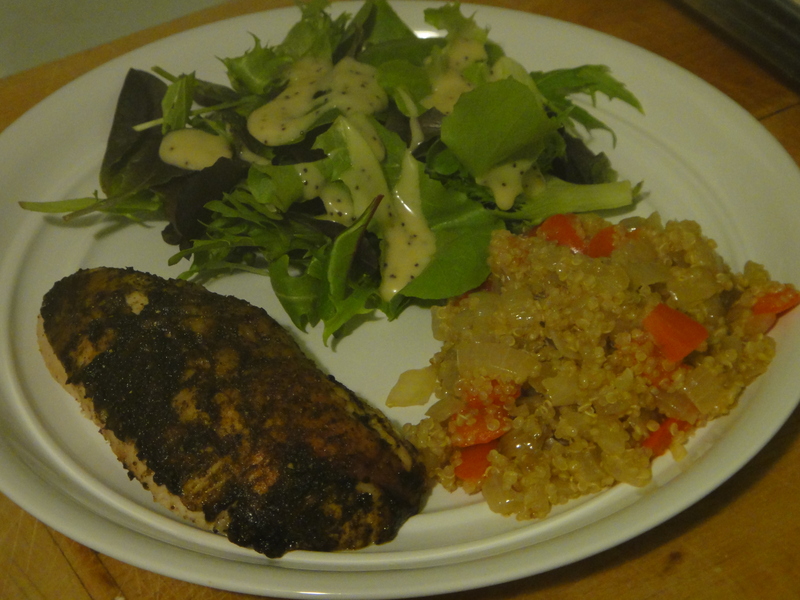 I removed the meat from the skillet afterwards, so not to overcook. 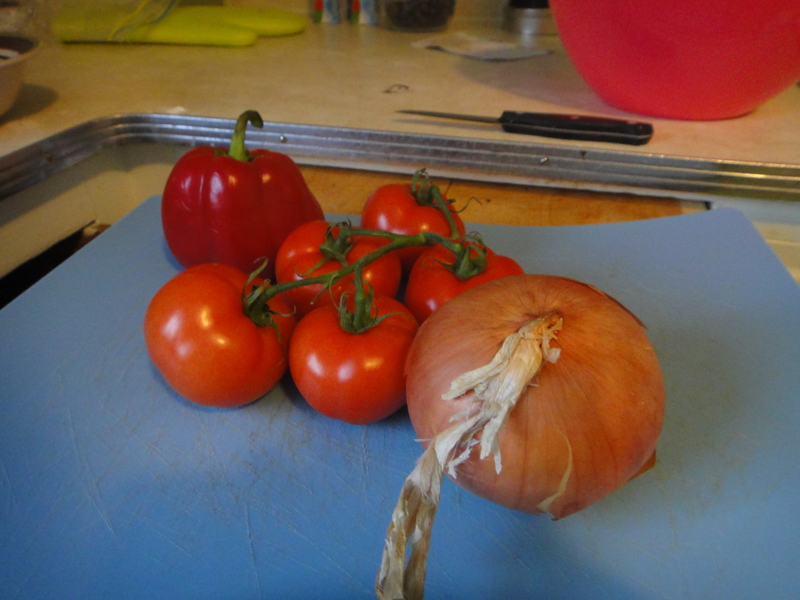 Next, I sliced and diced all these tasty veggies. 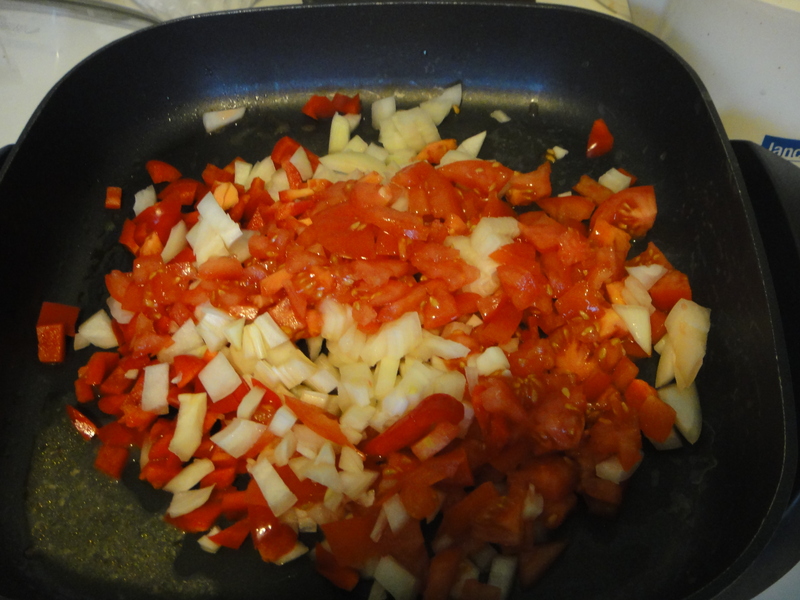 I added them to the skillet with some paprika and garlic. hmm! I have never purchased saffron before making this dish. 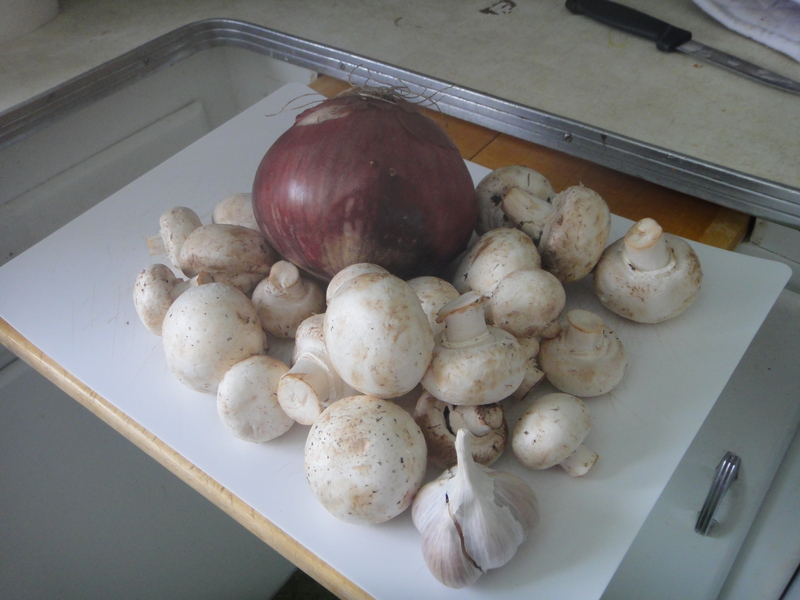 I had to go to planet organic to find some, because they did not carry any at save on foods. When I got there, they had regular Spanish Saffron, and this ground American Saffron. 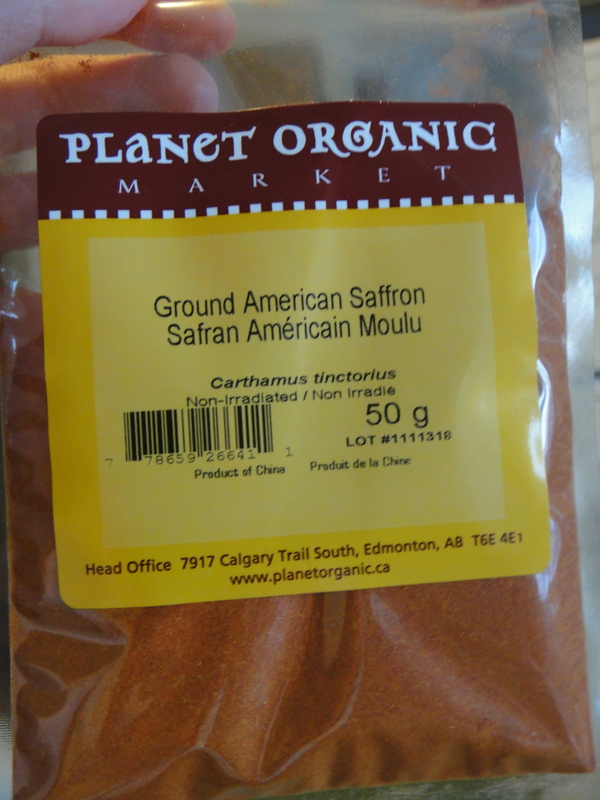 Seeing as the American Saffron was 1/4 of the price, I picked it up, not caring what part of the world the saffron came from – They both were not local, after all! Interestingly enough, American Saffron is a cheap rip-off version of Spanish Saffron! It has a different taste, and consistency. 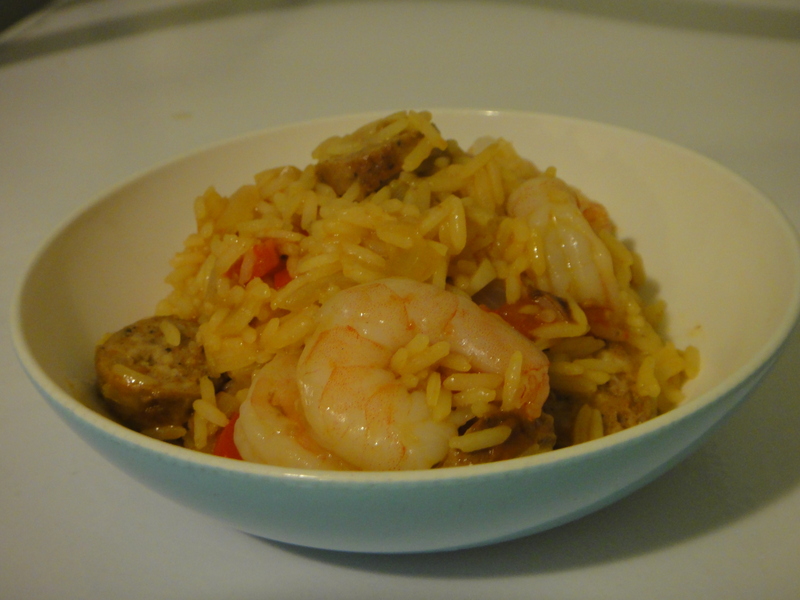 You need to use 8x as much for the taste to come through (which I did not know while preparing this dish…) I think next time I make paella, I’ll just go with the regular Spanish Saffron! 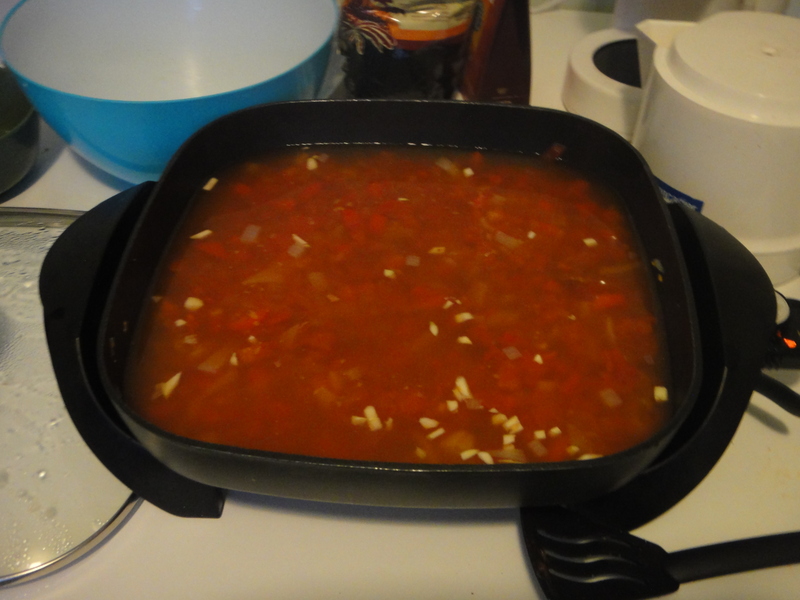 The next step was to add the chicken broth and saffron to the veggies and bring to a boil. I sprinkled in the rice and let it bubble and boil for a while. 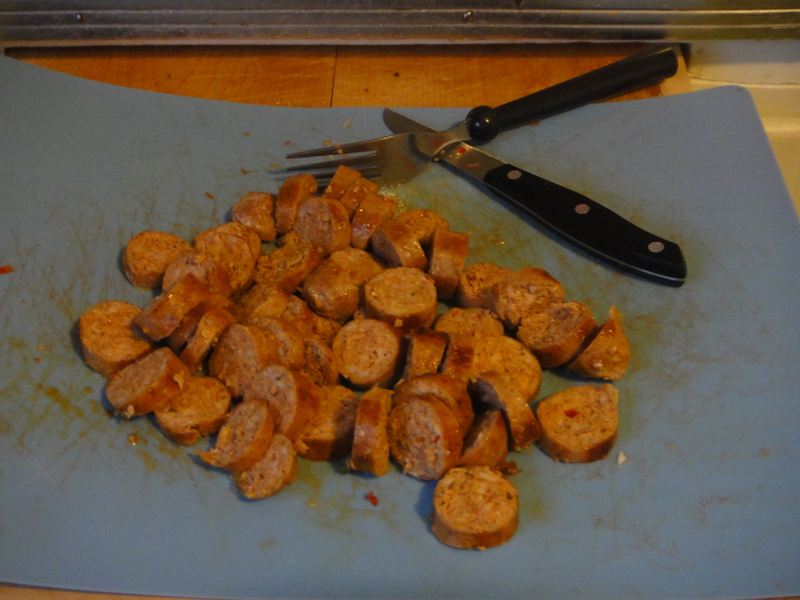 Then I chopped up the chorizo that was waiting for me on the counter. See the saffron colour? It’s beautiful eh? The taste didn’t come through though. I will add more next time. I re-added the shrimp and the chorizo. Beautiful and tasty meal! I would definitely make this again. Beautiful, tasty and very interesting. I would just add more saffron next time! 25 threads saffron, crushed (a heaping 1⁄4 tsp.) – *I used ground. If using American, add 8x this! 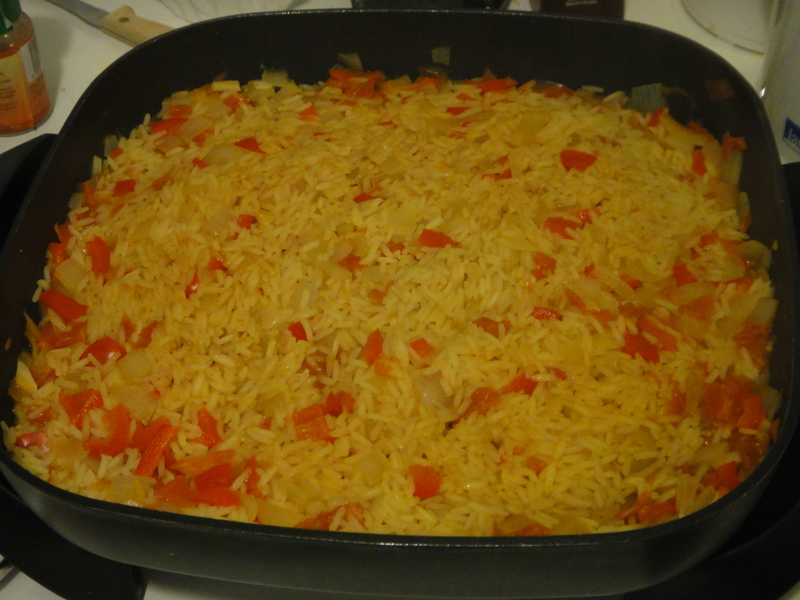 Heat oil in a 16″–18″ paella pan (or curved non-stick skillet) over medium-high heat. Add Chorizo and cook through. 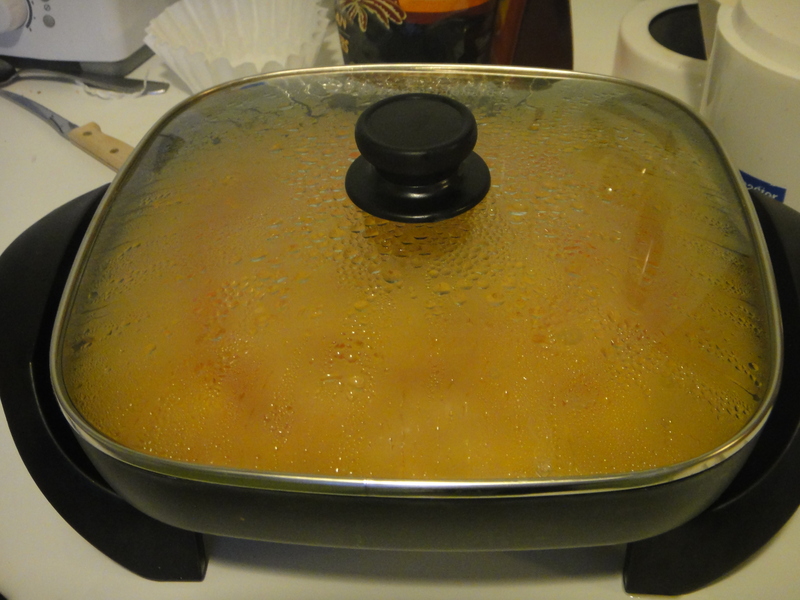 Add shrimp, lightly salt, and cook, turning occasionally, until pink, about 5 minutes; transfer to a plate and set aside. When cooled, dice up chorizo. 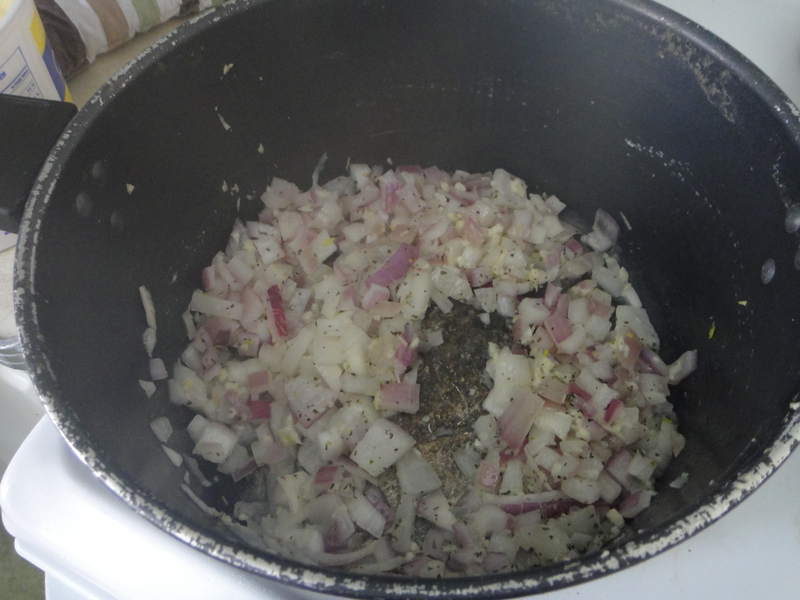 Add paprika, tomatoes, garlic, peppers, and onions to pan and cook, stirring often, until onions are soft, about 6 minutes. 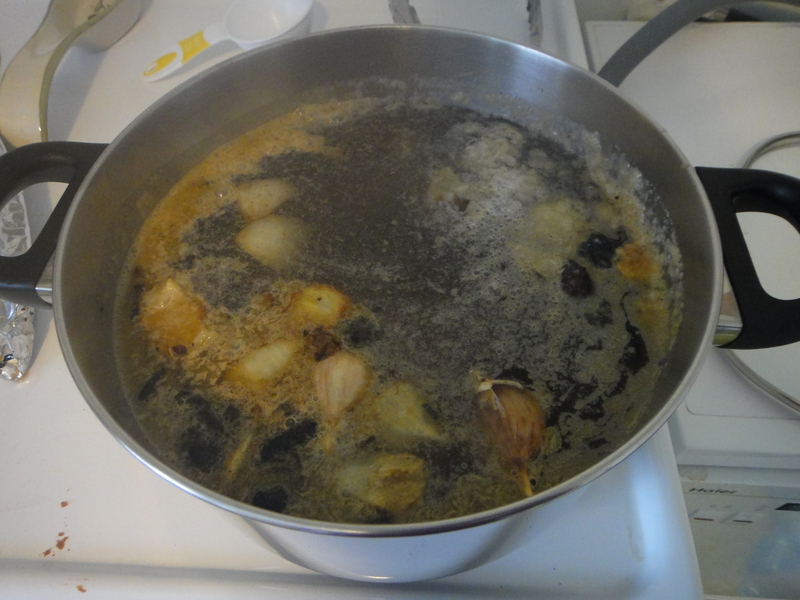 Add saffron and broth, season with salt, and bring to a boil over high heat. Reduce heat to low, add reserved shrimp and chorizo. 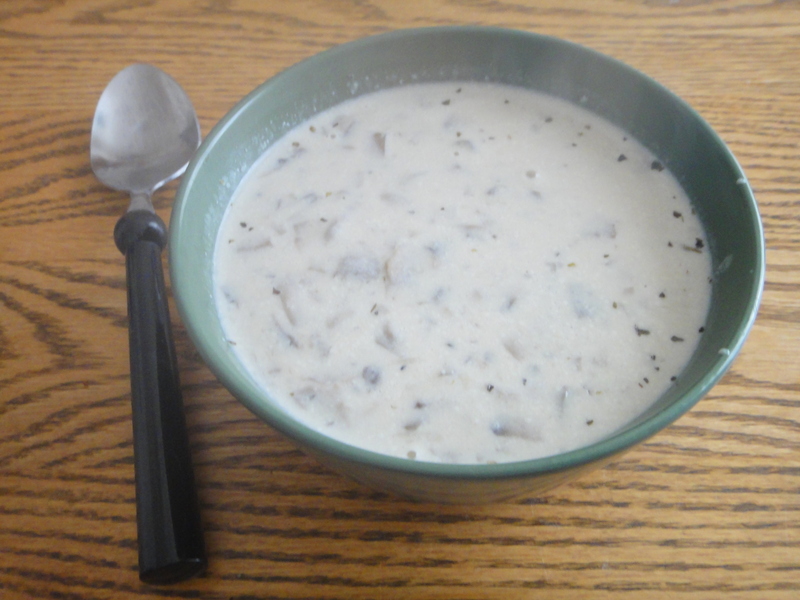 Cook, without stirring, until rice has absorbed the liquid and is al dente, 5–10 minutes. 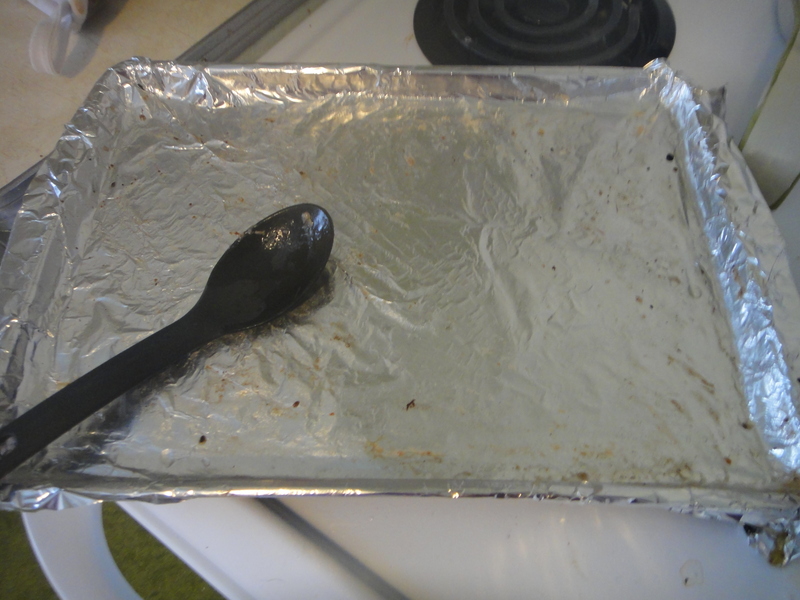 Remove pan from heat, cover with aluminum foil, and let sit for 5 minutes before serving. 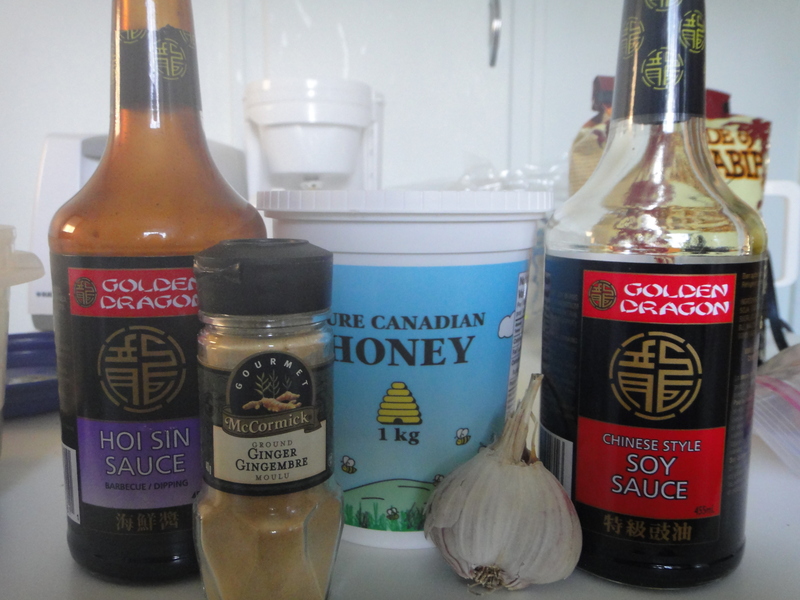 For the chicken wing sauce, I used a blend of tasty Asian ingredients. 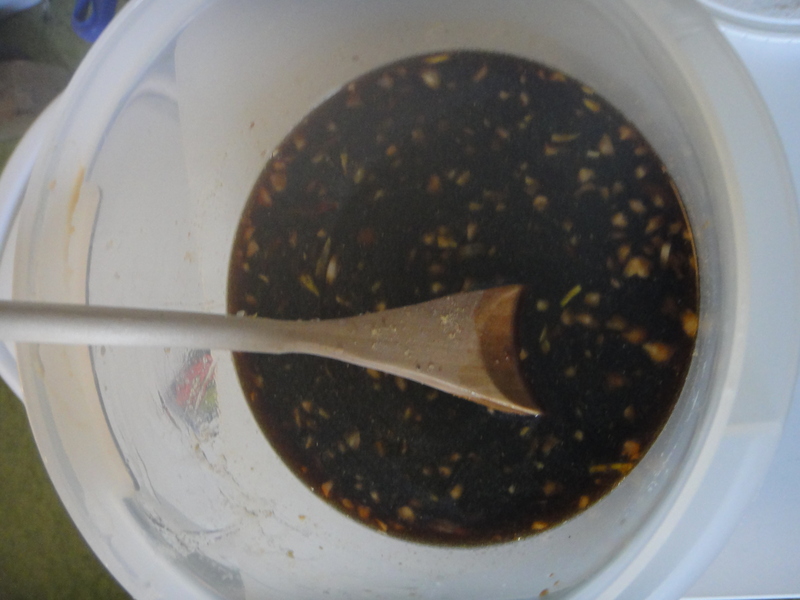 Soy, hoisin, honey, ginger and garlic. There wasn’t much else to it. 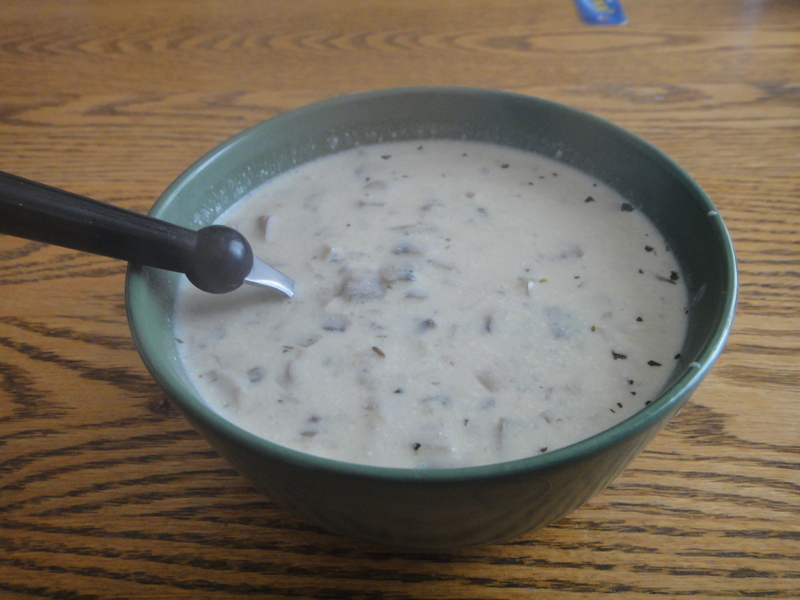 I combined all the ingredients the night before, so that all I had to do in the morning was plop it all in the slowcooker! 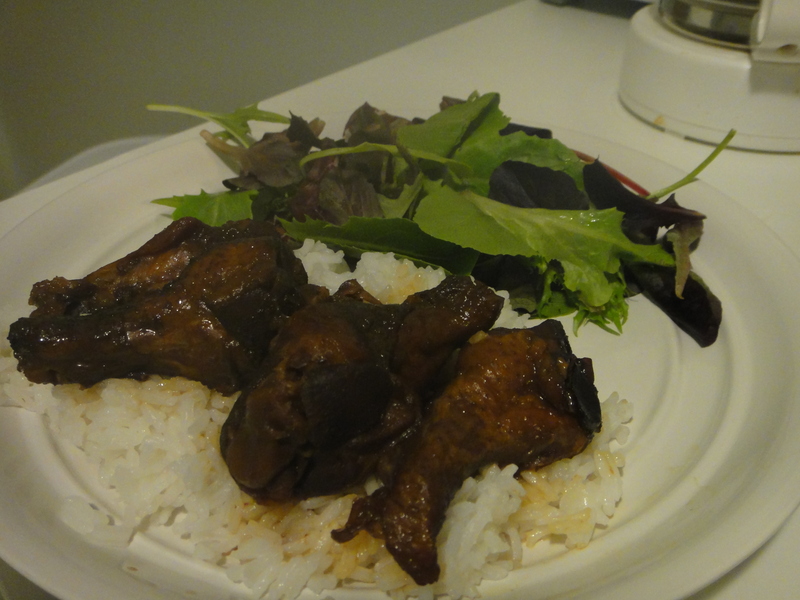 I even marinated the chicken wings in the sauce over night. This made the wings fall-off-the-bone tender! 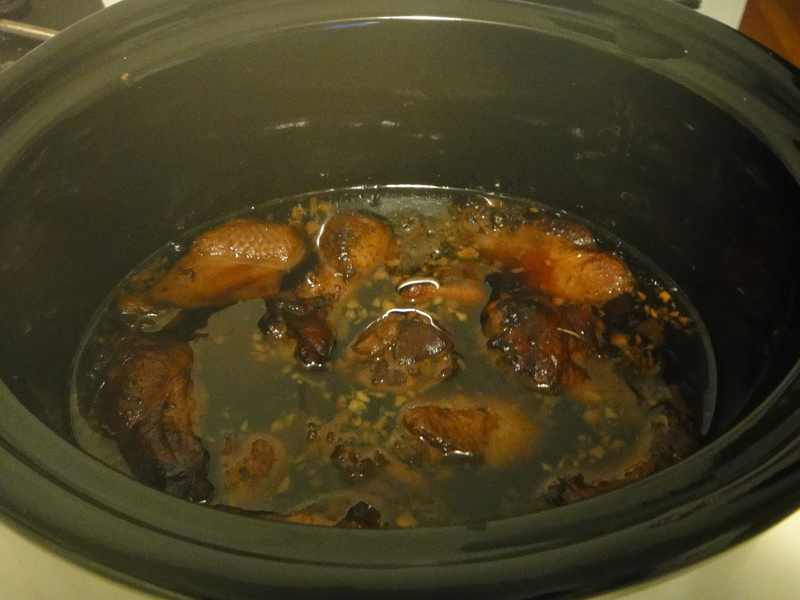 In the morning, I turned the crockpot on low and let it cook for 7 hrs. And I came home to this delicious concoction. 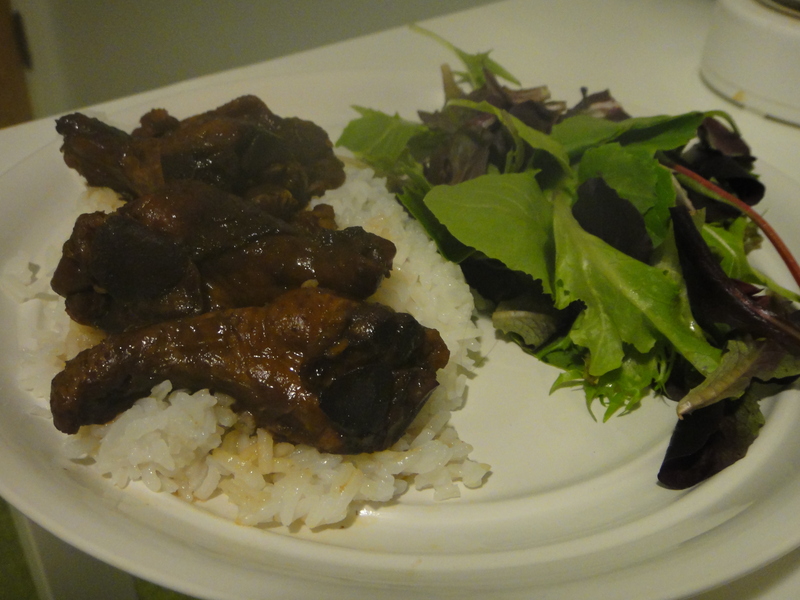 I served them over Jasmine rice with a side salad. Deliciously tasty meal! 1 pound of chicken wings. 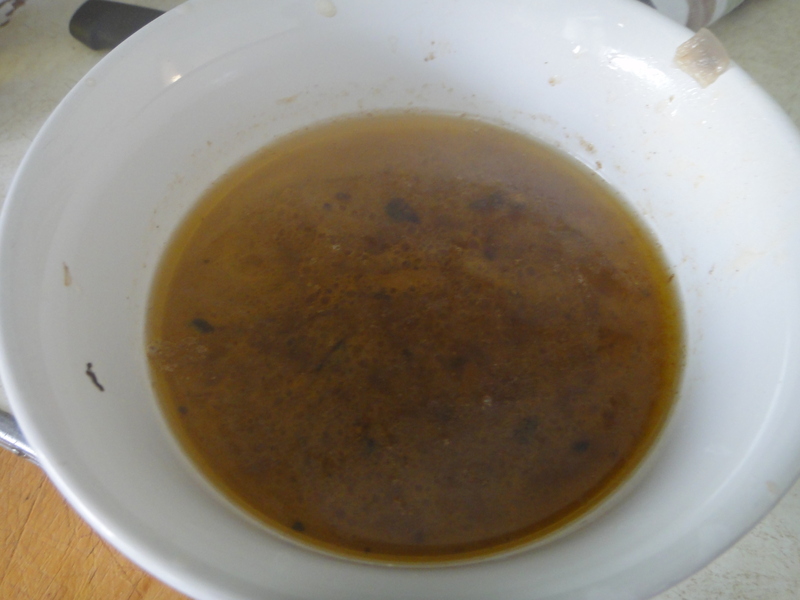 Combine all ingredients, and pour over chicken wings, leaving them to marinate overnight. 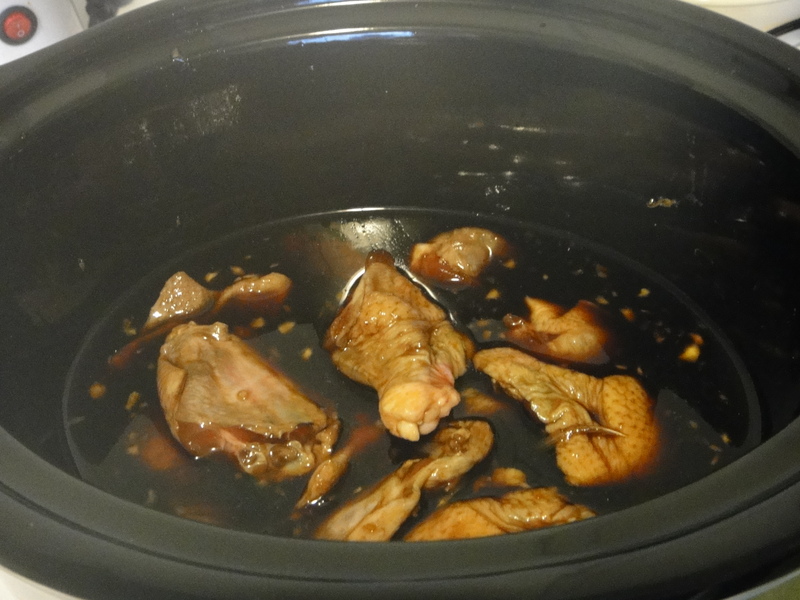 In the morning, throw all ingredients into the slowcooker and cook on low for 7 hrs. Serve over your favorite rice. 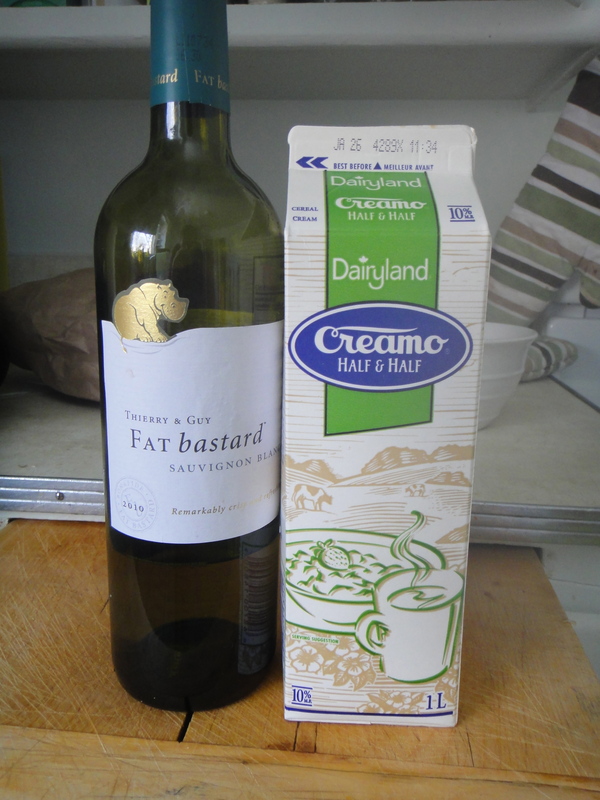 After a delicious week of eating rich, traditional foods, I decided it was time for something very very different. 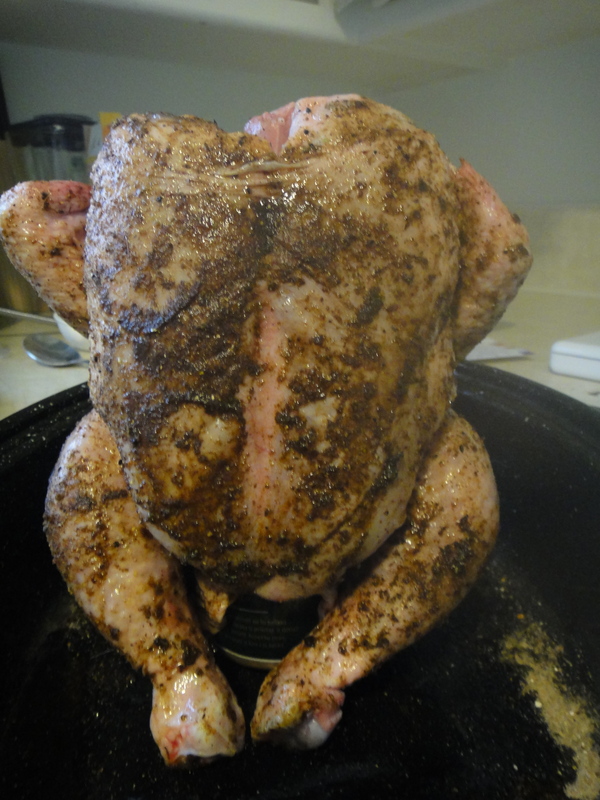 Beer Can Chicken. 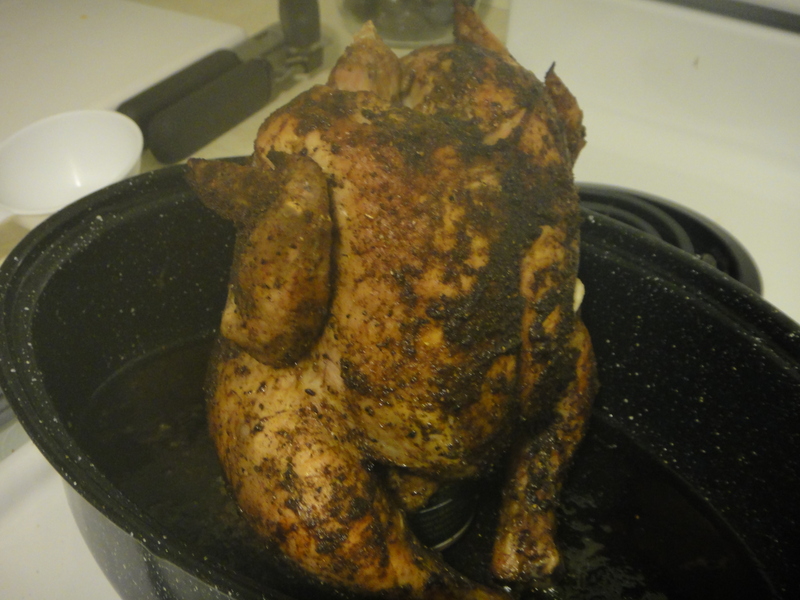 I’ve heard of beer can chicken before, but I’ve never had the guts to make it. So tonight was the night. 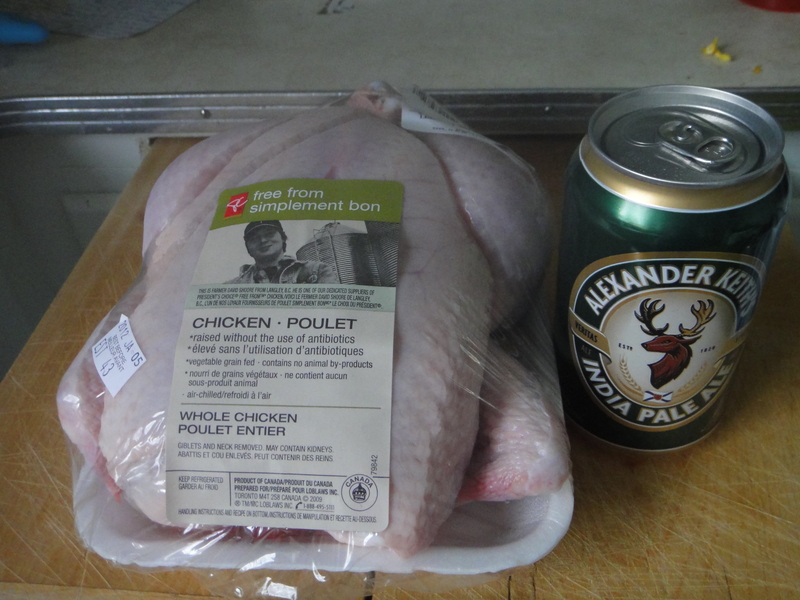 I bought a whole organic chicken from Superstore, and borrowed a can of Keith’s from my parents during their New Years Day family dinner. 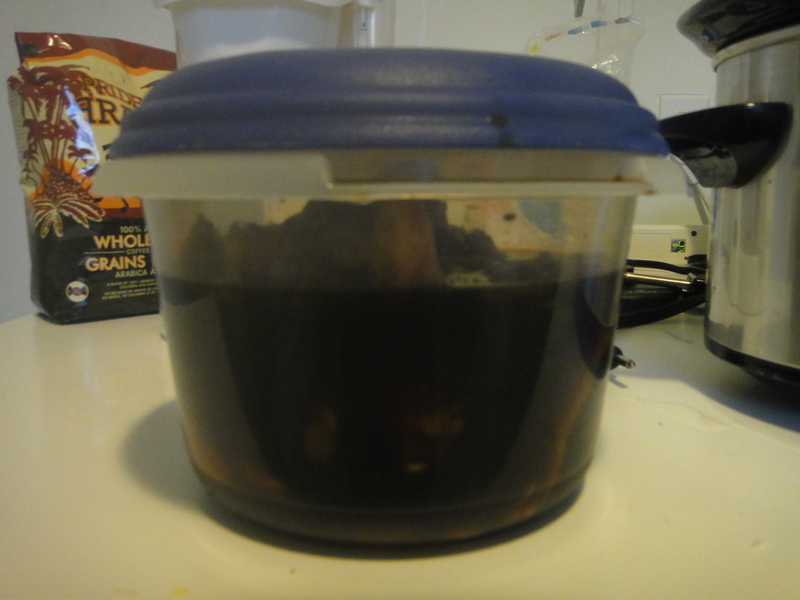 I cut the top off the Keith’s, so that the beer could infuse better into the chicken. 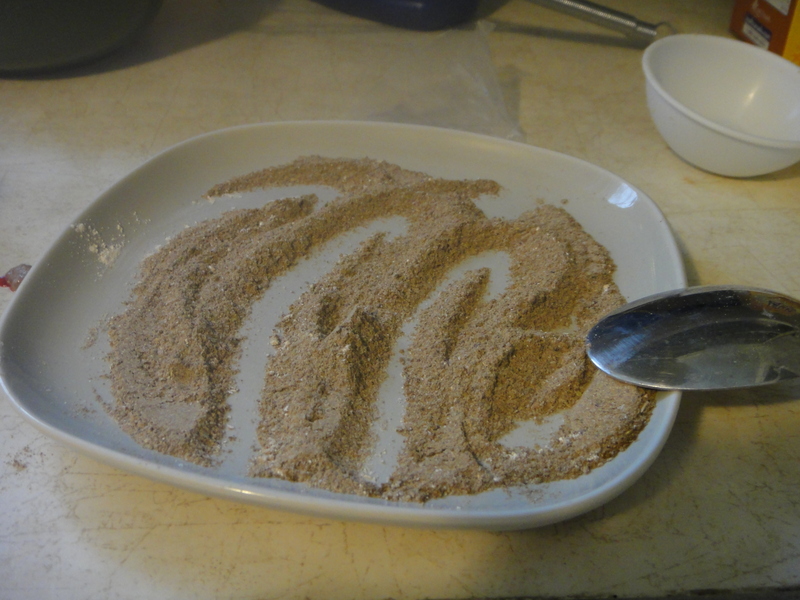 I make a unique spice blend of Middle Eastern Seasoning, that my mom brought back from Egypt. 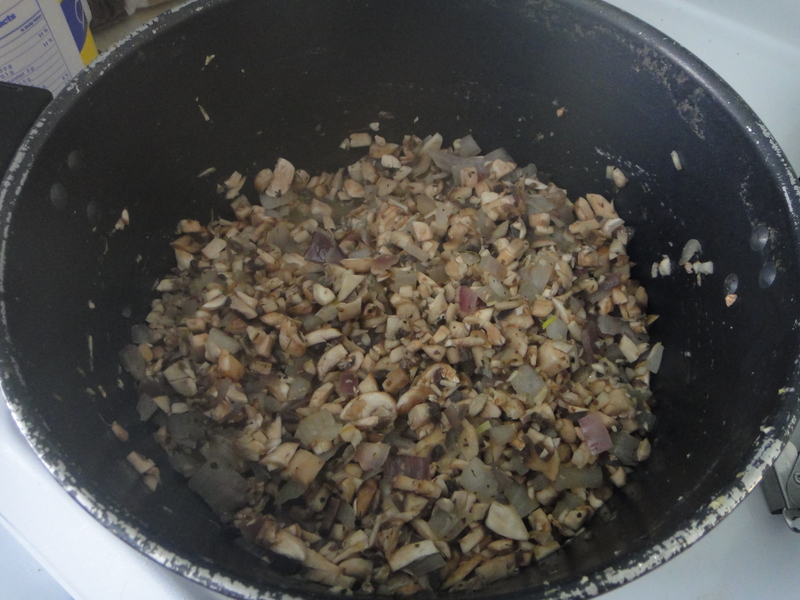 I added some garlic and onion powder, and some seasoning salt. 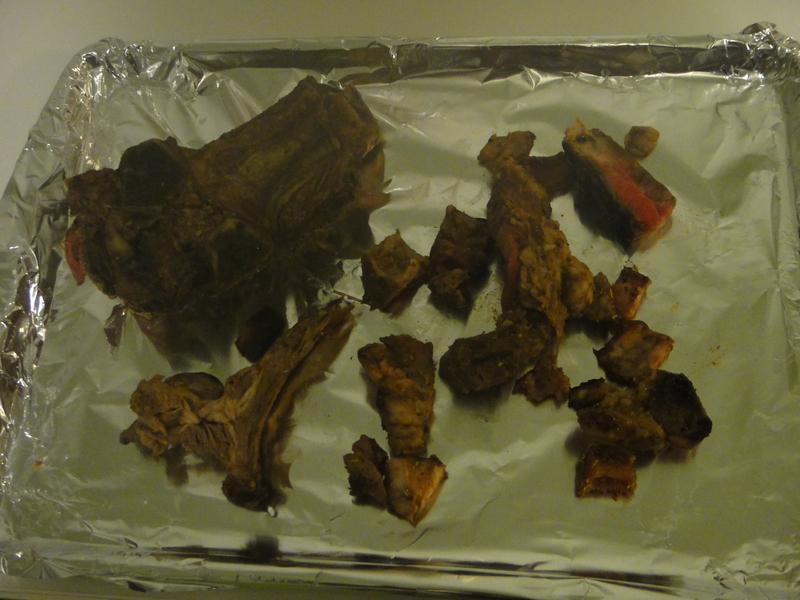 This was quite the good spice rub. 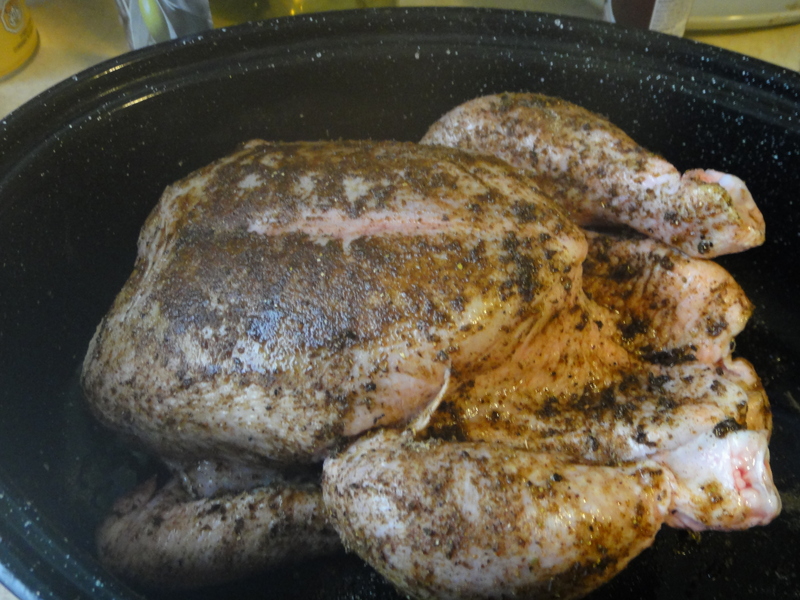 I rubbed the chicken with olive oil to start, then rubbed it down with the spice mix. 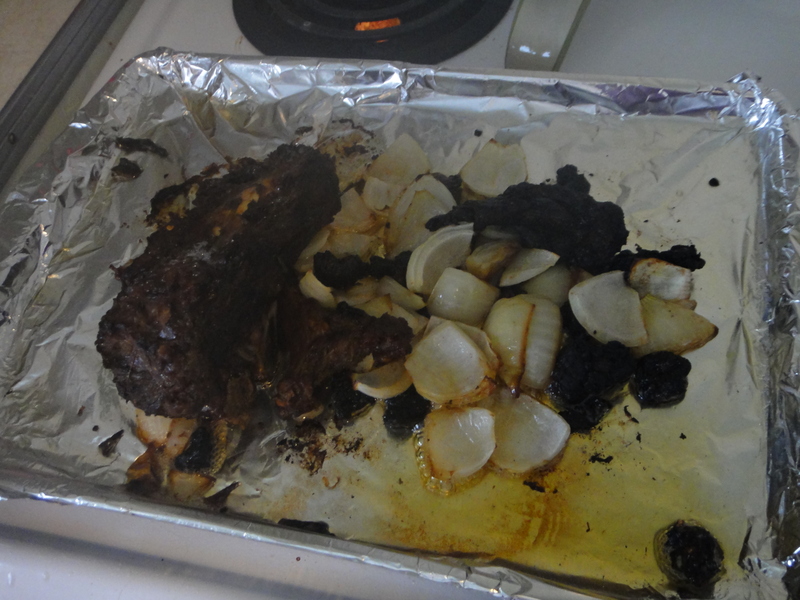 Then I let it roast at 375 for about an hour. This made the house smell absolutely mouthwatering! I let it stand for a bit before slicing it up and serving it with some tasty sides. Man, this chicken was a winner! Rub chicken with olive oil. 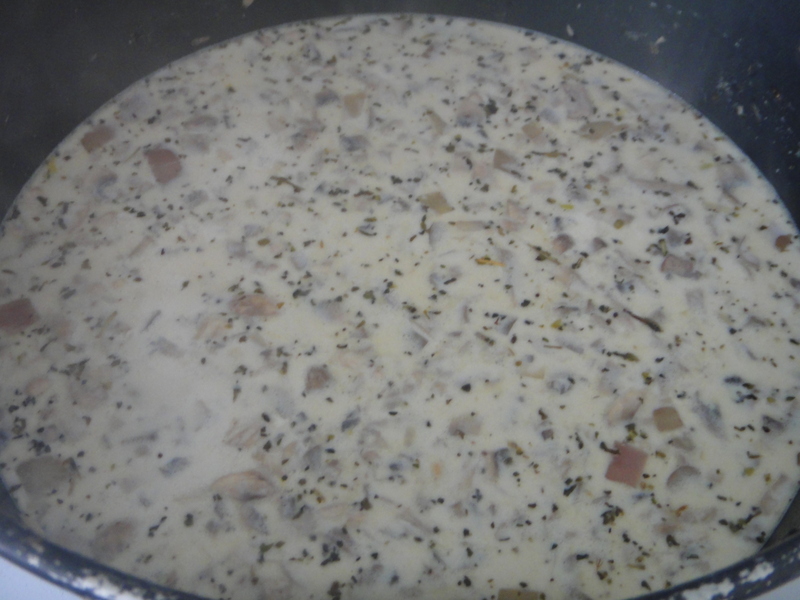 Coat with spice mix. 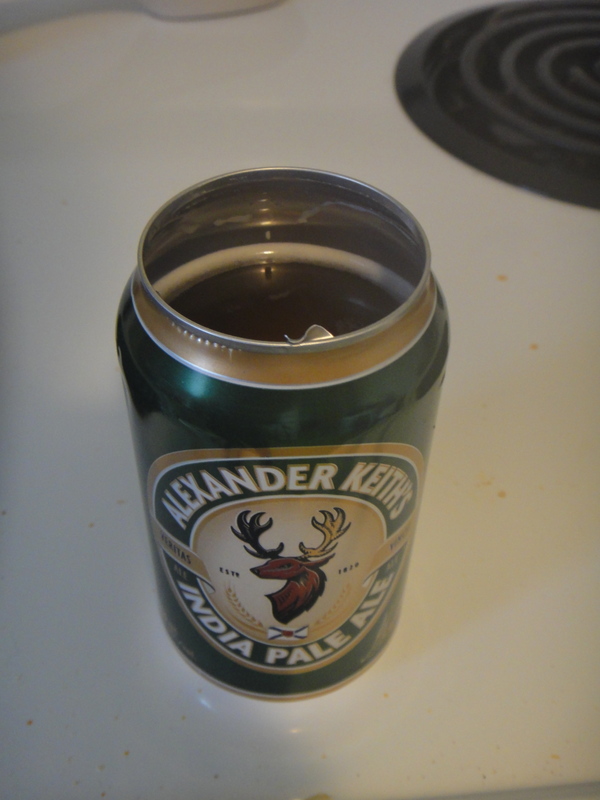 Cut top off beer can and drink until 1/4 is gone. Insert the beer can right side up into the chicken. Place in a big roasting pan and roast in the oven at 375 for 1 hour. Let rest on counter for about 15 minutes before removing the beer can (be careful! it’s still very hot!!). Slice up and thoroughly enjoy!